This Front Mount Intercooler ( FMIC ) features a massive bar and plate core for optimal performance and minimal pressure drop. This is a great kit for turbo upgrades and increased boost on a WRX or STI; the massive intercooler core will support even the largest of Turbo's, while t-bolt clamps and silicon connectors ensure that there are no leaks. 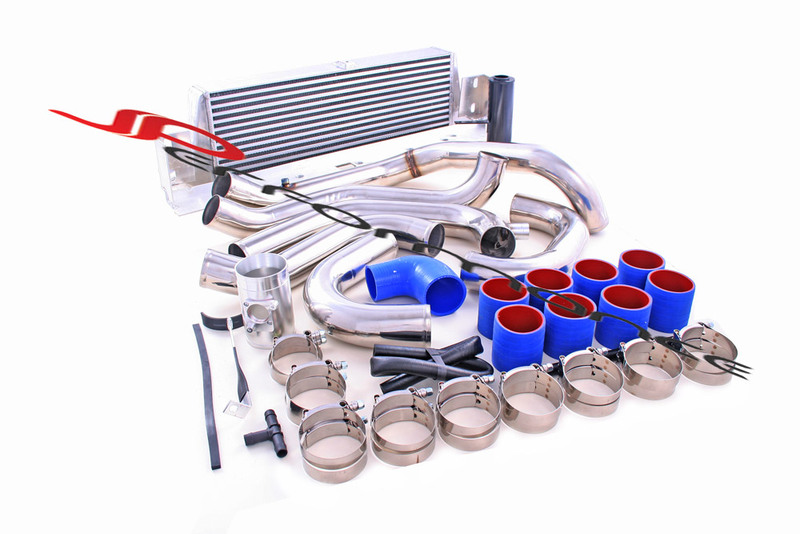 This intercooler kit is an alternative to Turbo XS, Perrin and Pace.